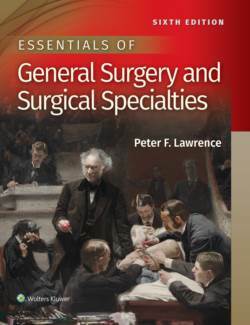 Now combining general surgery and the specialties in one volume, this Sixth Edition of Essentials of General Surgery and Surgical Specialties focuses on the information all medical students need to know to pass the NBME surgery shelf or other surgery rotation examinations. This new edition of Lawrence’s popular text offers concise, high-yield content and a smaller format ideal for study on the go. Updated to reflect the latest advances in the field, it provides the authoritative, up-to-date content today’s busy medical students need for exam success.